At the winning post, Rex Kermode – Tathra Lions, Bega Valley Shire Mayor Kristy McBain, Chris Nicholls, Darren Jones, Jess Ryan, Rob Tweedie – Sapphire Coast Turf Club. (Absent – Peter Whiter – Band Together video and photo coordinator) Photo: Ian Campbell. Band Together – The Tathra Bushfire Relief Concert has raised $160,000 for families at Reedy Swamp, Vimy Ridge, and Tathra recovering from the March 18 bushfires that destroyed 65 homes. An oversized cheque was presented to Mayor, Kristy McBain at the Jazz Festival Race Day at Sapphire Coast Turf Club, the donation taking the Mayor’s Bushfire Appeal to $1.3 million. Just two weeks prior the space that today hosted 400 racegoers, was filled with 4,000 music lovers, revelling in the sounds of 1927, the Hoodoo Gurus, Daniel Champagne, and The Figmentz; every one of the 30 odd performers to take to the stage excelled, there was not a dud act in the 10 hour spectacular. Darren Jones from the organising committee says it’s a great feeling. Tathra is in recovery mode from the March 18 bushfires. Photo: Andrew Buesnel Instagram. 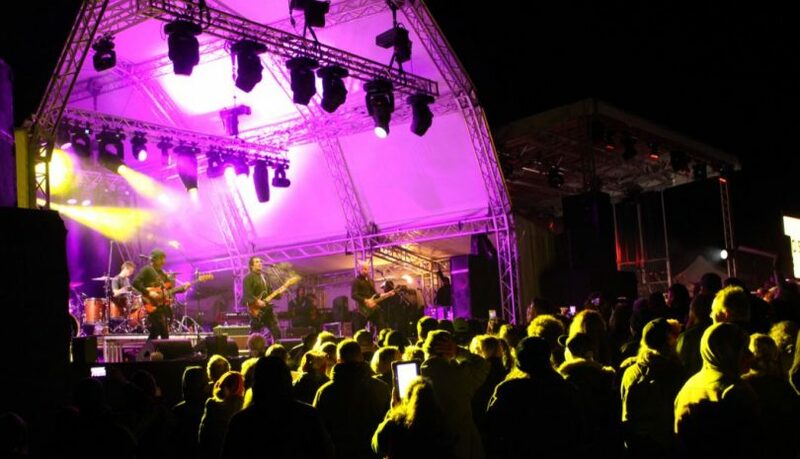 People came from Parkes, Narrandera, the Gold Coast, Canberra, and Tasmania to attend the concert; the amount of money injected into the local economy as a result is also a great source of pride for the organisers. 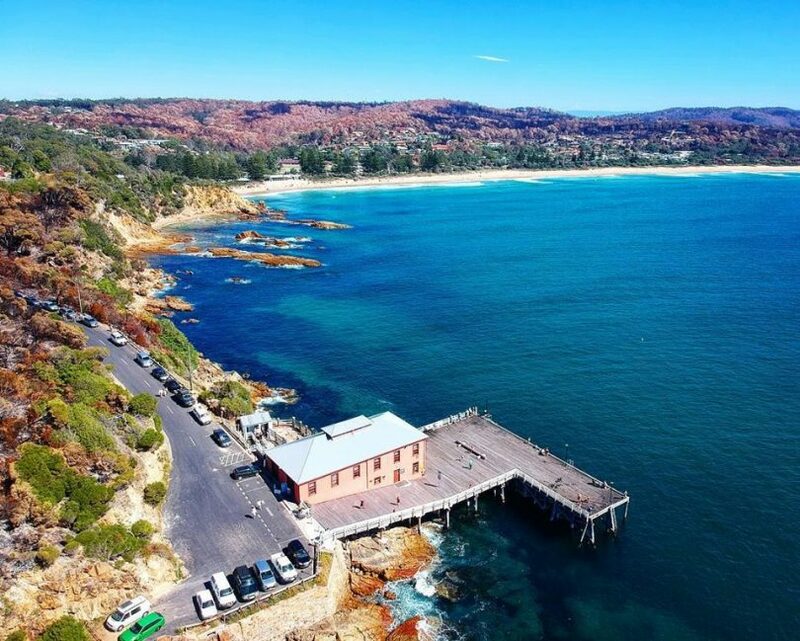 “My favourite part of this is all the people who stayed in Tathra that weekend, I love that bit of it,” Jess Ryan from Sapphire Coast Turf Club says. “Tathra Beach House Appartments had 22 checkouts on the Sunday, you wouldn’t normally get that in May,” she says. “And the Recovery Breakfast the next morning, all the cafes in Tathra were full,” Mr Jones says. Much of the reason so much money was raised is the generosity of many – individuals and organisations. 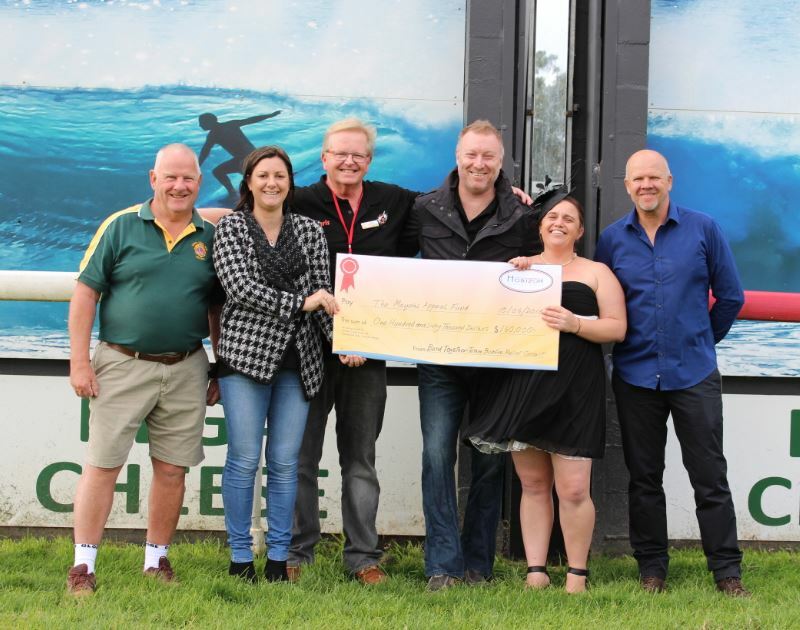 Tathra Lions donated all the takings from the canteen, while the Turf Club threw in proceeds from the bar, not to mention donations of stage, lighting, and sound equipment from the likes of Stage Kings and Green Room. “We’d be here for an hour if I had to name everyone, it’s been amazing, thank you,” Mr Jones says. 1927 played like it was 1988 again – THANK YOU! Photo: Ian Campbell. Volunteer Coordinator, Chris Nicholls says a team of around 35 volunteers worked morning, noon, and night, and can take credit for such an impressive fundraising total. “There were a couple of volunteers who worked for two days solid before the concert, and they were so exhausted they didn’t actually make it to the concert,” Mr Nicholls laughs. Between them, Darren, Jess, and Chris saw very little of the concert itself, a few stolen moments with the Hoodoo Gurus backstage, was just reward for their superhuman effort. The money raised will be distributed through the Mayor’s Bushfire Appeal which has already started allocating funds to people whose homes were destroyed. “Stage one is well underway, we have already distributed money to 51 different households,” Cr McBain says. “The unbelievable generosity that has come from right across the country has us in a position to provide this assistance, and the Band Together concert a brilliant example of this. “Businesses big and small, service clubs, sporting groups, local Councils, schools and individuals are among those who have contributed so selflessly and we couldn’t be more thankful,” Cr Mc Bain says. 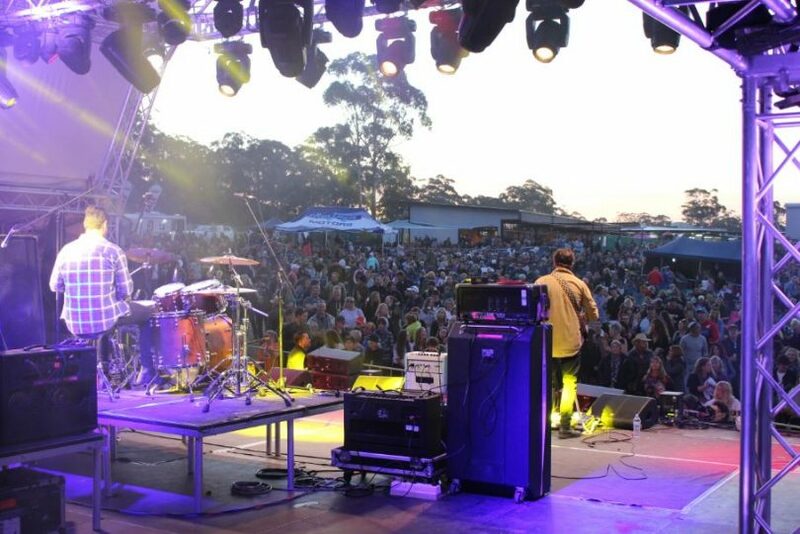 Close to 4,000 people packed into the Sapphire Coast Turf Club for Band Together. Photo: Ian Campbell. The Mayor says the money being handed out now is just the start, and that the fund will stay open for at least two years in order to meet the changing needs of the bushfire community. Shifting nervously on his feet as he considers his answer, Darren looks to Jess and Chris for reassurance. “Yes this will happen again, Band Together 2 and we’ll make sure its a lot bloody warmer,” he laughs. Band Together merchandise is still available from the event’s website at reduced prices. Absent from the cheque presentation was Peter Whiter – Band Together video and photo coordinator.